Structural System: Foundation, framing, probing for deterioration, under-floor crawl space or basement area, floor, wall, ceiling and roof structure, and attic. Exterior: Wall covering, flashing and trim, exterior doors, attached decks, balconies, stoops, steps, porches, and their associated railings. Eaves, soffits, fascias, vegetation, grading, surface drainage, and retaining walls. Walkways, patios, and driveways. Roof System: Roof covering, drainage system, flashings, skylights, chimneys, and roof penetrations. Plumbing System: Interior water supply and distribution systems, fixtures and faucets, drains, waste and vent systems, sump pumps and related piping. Electrical System: Service drop, service entrance conductors, cables, and raceways. Service equipment and main disconnects, service grounding, interior components of service panels and sub-panels. Conductors and over-current protection devices. Representative number of lighting fixtures, switches, receptacles, ground and arc fault circuit interrupters. Heating System: Installed heating equipment and vent systems, and chimneys. Air Conditioning System: Installed central and through-wall cooling equipment. Interior: Walls, ceilings, floors, steps, stairways, railings, countertops and a representative number of installed cabinets, doors, and windows. Garage doors and openers. Insulation and Ventilation: Insulation, vapor retarders in unfinished spaces, ventilation of attics and foundation areas, and mechanical ventilation systems. Fireplaces and Solid Fuel Burning Appliances: System components, vent systems, and chimneys. Radon is a radioactive gas which occurs in nature as a result of the radioactive decay of uranium. You cannot see it, smell it, or taste it. Radon can be found in high concentrations in soils and rocks containing uranium, and in water from residential wells. 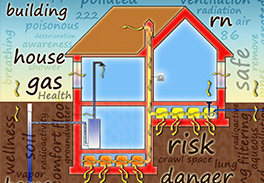 Once radon finds its way inside an enclosed space such as a home through small spaces in the soil and rock on which a home is built, radon can accumulate. Indoor levels depend on both the house construction and the concentration of radon in the underlying soil and well water. The EPA recommends corrective action for test results of 4 pCi/L and greater. Studies indicate that as many as one in five homes in the Connecticut, Rhode Island, and Massachusetts may have elevated radon levels. 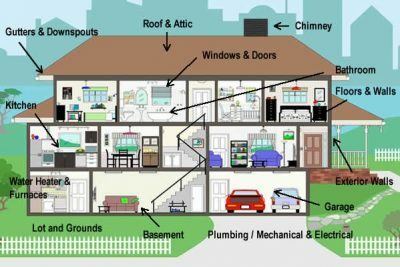 How does Radon Affect People and Pets? When air containing radon is inhaled, the radioactive decaying products of uranium can become trapped in the lungs. As these decay products break down further, they release small bursts of energy which can damage lung tissue and lead to lung cancer. SAGE employs several methods for testing radon. One method utilizes a state of the art electronic Continuous Radon Monitor and the other method uses short-term (1-2 day turnaround) dual measurement devices. Both provide speed and accuracy and are ideally suited for time-sensitive real estate transactions upon which family and pet safety may be based. What if My Radon Level is Elevated? There are simple ways to mitigate a radon problem that are not too costly. Even very high levels can be reduced to acceptable levels. If your radon test results indicate the need for corrective action, the services of a qualified radon mitigation contractor should be obtained. For additional information or a listing of nationally certified mitigation professionals, visit www.ct.gov/radon. Termites and other wood destroying insects (WDI) can cause damage to structural components. 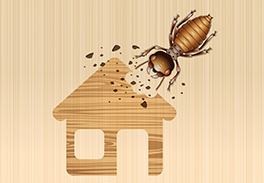 It is recommended that you have the property inspected for termites, carpenter ants, powder post beetles, carpenter bees and other wood destroying insects. Many lenders such as FHA, CHFA, and VA will require a termite inspection be done as a condition to receiving the mortgage. 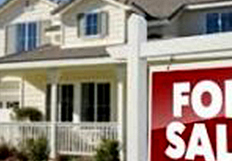 Check with your lender to see if this applies to you. We can also test your water for a variety of other factors, including bacteria, arsenic, uranium, pesticides, volatile organic compounds, and waste water, soil & other contaminants. If you are planning on selling your home, consider contacting SAGE to perform a pre-market inspection that will assist you in identifying any issues that may be discovered at the time of a potential buyer’s inspection. Being proactive will give you the opportunity to make any necessary repairs well in advance of the closing and avoid any surprises or delays.